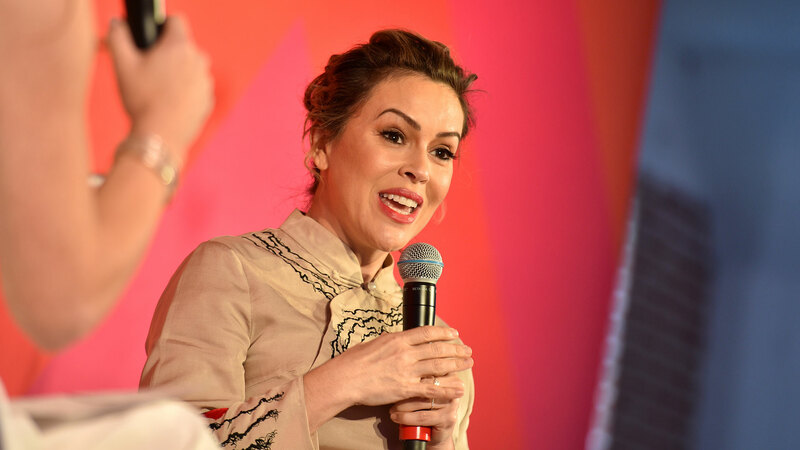 Could Alyssa Milano Be Gearing Up to Run for Office? Image: Lionel Hahn for SHE Media. If you think Alyssa Milano got her start in activism with the #MeToo movement, think again. Back in the 1980s, during the height of the popularity of her sitcom Who’s the Boss, Milano appeared on national TV with Ryan White — a young man who had contracted HIV through a blood transfusion — and kissed him, to prove that HIV isn’t transmitted through casual contact. In that moment, she became one of the strongest voices in HIV/AIDS advocacy, and she hasn’t stopped since. In fact, her activism has only gotten broader: of course amplifying the #MeToo movement, but also in the area of reproductive health. Milano, who has recently been named the ACLU artist ambassador for reproductive freedom, thinks the abortion issue comes down to two separate belief systems: one based on religion and another based on science. Along the same lines, Milano made it clear that words matter when it comes to how we discuss and frame the conversation on reproductive rights. The challenge, Milano explained, is getting everyone involved in the fight for reproductive rights. Speaking of racism, Milano said that it has a huge impact on access to abortion. As far as we’re concerned, that’s definitely a possibility.